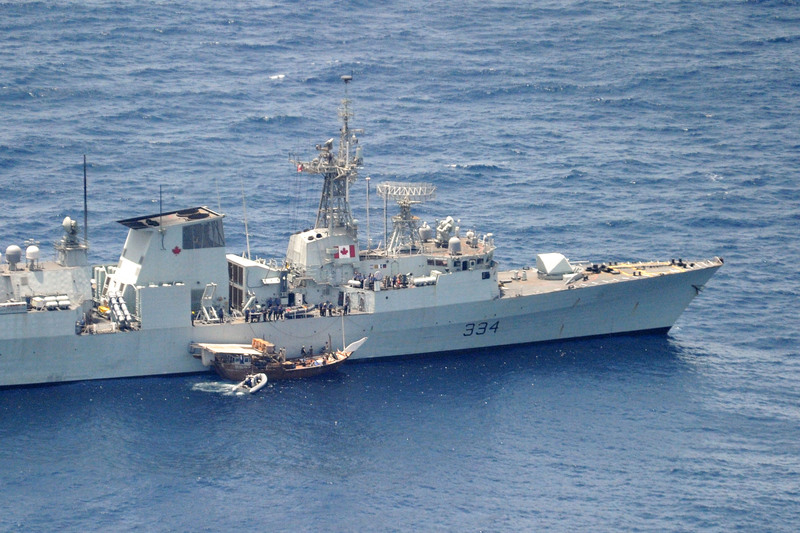 The Royal Canadian Navy’s Frigate, Her Majesty’s Canadian Ship (HMCS) Regina, currently assigned to Combined Task Force (CTF) 150 (Maritime Security), together with Republic of Singapore Navy Frigate, Republic Singapore Ship (RSS) Intrepid, currently assigned to CTF 151 (Counter Piracy), provided assistance to a stricken dhow in the Gulf of Aden on 18th September 2012. Regina sent members of their small boat inspection team, an electrician and an interpreter in their rigid-hulled-inflatable boat (RHIB) to investigate and provide assistance. 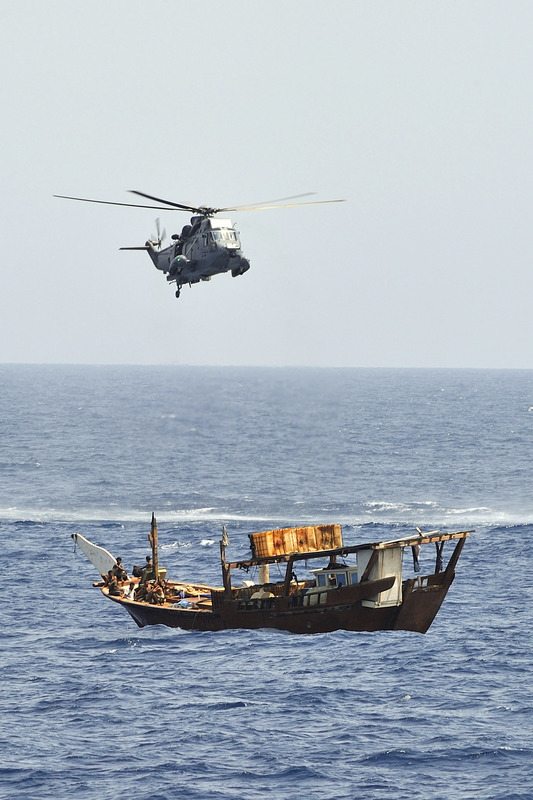 The dhow in distress had run out of both fuel and food. Regina was able to manoeuvre and secure the dhow alongside to provide fuel along with fresh food and water for the crew. CTF-150 and CTF-151 are two of three task forces operated by Combined Maritime Forces (CMF). CMF is a 26 nation naval partnership, which exists to promote security, stability and prosperity across approximately 2.5 million square miles of international waters covering the Arabian Gulf, the Gulf of Oman and the Indian Ocean an area which encompasses some of the world’s most important shipping lanes.